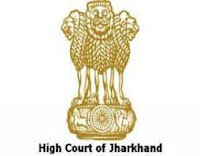 Jharkhand High Court has invited Apply Online Application Form for 15 Legal Assistant Posts through Official website www.jharkhandhighcourt.nic.in. The last date for submission of online applications is 15.09.2018. Interested candidates will have to apply before carefully reading the advertisement to know about examinations and interview, eligibility criteria, application fee pattern of examination, Jharkhand High Court Syllabus, Jharkhand High Court Exam Date, Jharkhand High Court Result Date etc. Age Limit: (As on 01.08.2018) : Should between 25 Years to 35 Years.